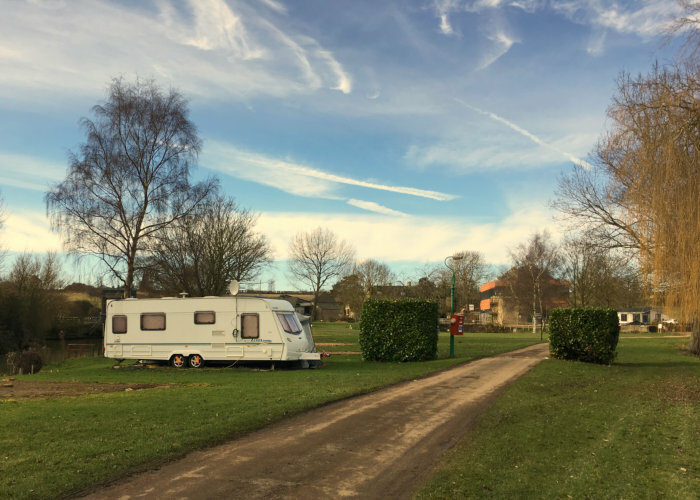 Yarwell Mill Country Park has 72 seasonal and annual pitches to allow regular visitors to get away for holidays and short breaks without the worry of towing the caravan each time, or needing to pre-book your pitch. Seasonal runs from March to November. Seasonal Pitch & Annual come with electric hook-up to your touring caravan, with an allowance for one awning and one car. You of course have access to the Elsan Tank to enable you to unload waste, and a fresh water source to replenish your water tanks. Guests are also welcome to use all of the facilities including the shower and toilet blocks. We currently have a handful pitches available for the upcoming season. Enquiries are on a first come basis, so to avoid disappointment please don’t hesitate to register your interest. To enquire about a long term pitch rental speak to our team on 01780 782344.